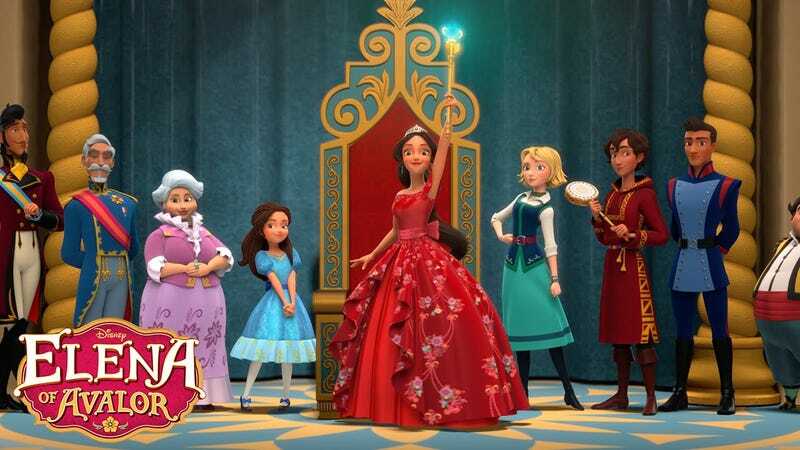 My daughters and I are really enjoying Elena of Avalor. I love that she’s Latinx and, more importantly, that she’s learning to be a fair and effective leader, but I’ve had to repeatedly defend her online. So I decided to address the two main complaints I’ve seen here. I don’t understand this “not real Latina” sentiment. I feel like it’s self-defeating. She’s both Latina and also fantasy, which is okay. Is Arendelle a historically accurate setting? Is Middle Earth? Westeros? Wakanda? Elena and her fictional Avalor is a mashup of Hispanic cultures, you know, like actual Latinx people. We’re a mix of European, Native American and African culture and genetics. And even those are infinitely varied, from Spanish to Portugese German and Polish, Taino, Aztec, Mayan, Inca, and Nigeria, Senegal, Mali, Gambia, Guinea, Sierra Leone and on and on. We’re from Miami and like Avalor its a city that is a hodgepodge of Hispanic Nationalites, Cuban, Puerto Rican, Dominican, Colombian, Venezuelan, Peruvian etc. We’re creating a new culture here that is just as fantastical as Avalor’s. POC should be allowed their fantasies. I am glad my 6-year-old has a princess that looks like her, one that sprinkles Spanish into her English, flies on winged jaguars, looks up to her abuelito, swashbuckles, and eats tamales. It’s important. We got short-changed because she didn’t get a movie. Meh. I actually like that Elena of Avalor is a show and not a movie. My daughters get to see her every week, go on adventures with her regularly, see her tackle multiple problems and succeed every time. With a movie they’d just see her once (probably saddled with a romantic plot line) and then get bombarded with merchandise. Elena visits us often and she’s become part of our familia.